These companies offer tools that are becoming an indispensable part of implementing a DevOps approach to IT. Slowly but surely, DevOps is moving into the mainstream. Although the idea has been around less than a decade, the methodology has already made substantial headway in the enterprise. Not surprisingly, vendors have also embraced the DevOps trend. Some merely slapped the DevOps label on existing products for developers or IT operations, but others created innovative new products designed from the ground up to support DevOps approaches. The categories can overlap somewhat, and most organizations don’t use tools from all of the categories. Instead, they mix and match to find a set of tools that best suits their workflows and approaches. In many cases, organizations’ DevOps toolchains are constantly evolving as vendors add new capabilities and organizations refine their approaches. However, a couple of trends seem to be emerging. First, many of the leading DevOps tools are cloud-based. Most DevOps teams use cloud infrastructure to deploy their applications because the cloud automates and streamlines management tasks. And because they eliminate some or all of the need to configure and manage infrastructure, platform as a service (PaaS) and serverless computing services are particularly well-suited to DevOps. If a team is already using cloud infrastructure to run its applications, it just makes sense to use DevOps tooling that is also based in the cloud, and the leading public cloud vendors are all adding DevOps features and capabilities to their offerings. Second, many of the most popular DevOps tools are open source or are based on open source tools. In fact, open source tools have become so commonplace throughout the DevOps movement that the few proprietary solutions on the market must integrate with and support the popular open source software. At this point, open source is so entrenched within DevOps that it seems highly unlikely that this trend will change any time in the foreseeable future. The list below highlights 25 vendors whose DevOps products have already become highly influential or whose popularity is growing quickly. It includes a broad mix of different types of products, as well as a mix of large and small vendors. Expect all of them to make headlines with DevOps products and services in 2018. Amazon Web Services (@awscloud) offers multiples cloud services related to DevOps, including its EC2 Container Service, Lambda serverless computing, CodeStar continuous delivery toolchain, CodeCommit source control service based on Git, CodeBuild building and testing service, CodeDeploy automated deployment, CodePipeline continuous integration and continuous delivery and X-Ray debugging tools. It has a section of its website devoted to explaining how AWS services support DevOps, and it also makes third-party DevOps tools available through AWS Marketplace. Atlassian (@Atlassian) has earned a reputation as one of the most well-respected providers of collaboration tools for agile and DevOps teams. It claims that its Jira development planning and tracking software is “the #1 software development tool used by agile teams,” and it also offers the Git-based Bitbucket code repository software, Confluence collaboration software, and Bamboo continuous integration and deployment software. CA Technologies (@CAinc) has been heavily promoting DevOps adoption this year, particularly adoption of DevOps and Agile methodologies together as a way to speed innovation and improve customer service. Forrester named CA as a “Leader” in its Forrester Wave report on Continuous Delivery and Release Automation. The CA website provides a whole host of resources related to DevOps, and it offers several automation tools, such as Agile Central, Project and Portfolio Management, Continuous Delivery Director, Workload Automation and others. Chef (@chef) is best known for its open source infrastructure management solution with the same name. It also has a paid solution called Chef Automate, which it describes as a “continuous automation platform,” and it has developed several other open source tools, most notably the inspec testing automation platform and Habitat for containerized build automation. A 2016 RightScale survey found that Chef was the most popular DevOps tool, used by 32% of respondents. CircleCI (@circleci) automates the build, test and deploy process, and it was named a “Leader” in the Forrester Wave for Continuous Integration Tools. The company claims to have more than 100,000 users, including Facebook, Kickstarter, Spotify and GoPro. Clarive (@Clarive) offers self-hosted or cloud-based solutions for lean application delivery. Gartner included this Madrid-based vendor in the “Visionary” quadrant for Application Release Automation (ARA) solutions and noted that the company has experienced rapid international growth this year, with sales on track to increase 180% over 2016 levels. Docker (@Docker) containerization software is quickly revolutionizing the way enterprises deploy applications, particularly in the cloud. According to that RightScale survey, it was the third most popular DevOps tool overall and the fastest-growing DevOps tool. It comes in both open source and paid enterprise versions. Electric Cloud (@electriccloud) might not be as much of a household name as some of the others on this list, but it got the highest ranking in the Gartner’s “Leaders” quadrant for ARA tools. And Forrester also ranked Electric Cloud as a “Leader.” Its products include ElectricFlow for release automation and ElectricAccelerator for continuous integration with build and test automation. GitHub (@github) bills itself “how people build software.” The world’s leading code repository, it hosts a huge array of public open source projects, and it also offers paid private repositories for enterprises. Its DevOps-related features include code review, product management, team management and social coding capabilities. GitHub boasts that more than 100,000 organizations use its services. GitLab (@gitlab) offers an alternative to GitHub, and while it doesn’t host as many open source projects as GitHub, it claims that two thirds of enterprises use GitLab. Like GitHub, it is based on the Git version control software, and it comes in both free and paid enterprise versions. Forrester ranked it as a “Leader” among continuous integration tools. Google Cloud (@googlecloud) has integrated some DevOps capabilities into its services, although not as extensively as AWS or IBM. Most notably, it has Container Registry and Builder services, Cloud Source Repositories (based on Git), plugins for Gradle and Maven, and a Cloud Test Lab that can automate some app testing. HashiCorp (@HashiCorp) is the company behind the open source tools Vagrant, Packer, Terraform, Vault, Consul and Nomad. It also sells cloud infrastructure automation tools based on those open source products. Its customers include Adobe, Barclays, Cisco, HPE, SAP Ariba, New Relic, Pinterest and others. IBM (@IBMDevOps) offers a wide variety of DevOps products and services, but the most notable are probably its UrbanCode products for automated deployment and release management and its Garage Method cloud services available through Bluemix. Both Gartner and Forrester have named IBM as a leader in the ARA market. Logz.io (@logzio) has built its DevOps-focused log management platform around the ELK stack — Elasticsearch, Logstash and Kibana. It’s also a pioneer in AI, which is built into the solution. Key capabilities of its product include alerting, Live Tail for troubleshooting infrastructure problems, automatic data parsing, dashboards, critical event prediction and more. Micro Focus (@MicroFocus) offers a wide range of enterprise software including application development, testing and delivery and IT operations tools that can help enable DevOps. It also has tools and resources for bringing a DevOps approach to mainframe operations. Gartner has ranked it as a “Visionary” for ARA, and Forrester called it a “Strong Performer” for continuous delivery and release automation. Microsoft (@msdev) offers both cloud-based and on-premises development tools with features that support DevOps. On the cloud side, it has Visual Studio Team Services for code sharing and development project management, Azure DevTest Labs for testing, Log Analytics, Container Services, Container Instances, Service Fabric for microservices applications and container orchestration, and Functions serverless computing. On the on-premise side, it has Team Foundation Server with some of the same capabilities as Visual Studio Team Services. Forrester labelled it a “Contender” for continuous delivery and release automation while Gartner called it a “Niche Player” for ARA. Nagios (@nagiosinc) claims to be “the industry standard in IT infrastructure monitoring.” It offers both free open source and paid solutions for server, network and application monitoring, and it boasts more than 9,000 customers, including Airbnb, Cisco, PayPal, UnitedHealthcare and others. New Relic (@newrelic) offers what it calls a “digital intelligence platform,” a suite of products for monitoring and optimizing infrastructure and operations. Its website includes a number of ebooks explaining how to implement DevOps and where measuring and infrastructure monitoring fit in with the DevOps approach. OpenMake Software (@openmake) promises “release automation bliss” with an ARA solution that helps teams make their release cycle twelve times faster while dramatically reducing costs. Its products include DeployHub Pro for continuous delivery and Meister for build automation. Gartner listed it as a “Niche Player” in the ARA market. Oracle (@OracleCloud) offers an integrated DevOps platform through its Developer Cloud Service, which includes code hosting, issue tracking, continuous integration and delivery automation tools. Its cloud services also include container capabilities. Puppet (@puppetize) was the second most popular DevOps tool in the RightScale survey, and the company claims that 75% of the Fortune 100 use its open source configuration management software. The company also offers paid DevOps tools, including Puppet Enterprise, Discovery, Bolt and Pipelines, all of which help automate common IT operations tasks. SaltStack (@SaltStack) manages the open source Salt project, which it claims is the “most intelligent, powerful and flexible open source software for remote execution, configuration automation, cloud control and event-driven orchestration.” It also offers a paid version of the product called Salt Enterprise. Slack (@SlackHQ) isn’t just for IT teams, but many DevOps teams rely on this collaboration tool to help the development and operations groups work more closely together. It’s a Web-based service that simplifies communication among team members. Many of the people who use it say that it has become an indispensable work tool. XebiaLabs (@xebialabs) is very highly regarded by analysts, earning Forrester’s highest ranking in the continuous delivery and release automation market, as well as the “Leader” designation from Gartner. It offers a complete platform that includes deployment automation, release orchestration, and DevOps intelligence. Its agentless architecture makes it particularly popular with customers. Get beyond the basics of DevOps and learn about building sustainable culture and engineering practices, along with the latest in technology. 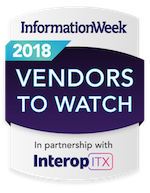 Attend the DevOps Track at Interop ITX, April 30-May 4, 2018. Register now!